Colorbox chestnut roan, ranger distress inks walnut stain. Other: Hero arts lace ribbon, twine. Thanks for the hint about using those little stamps with the doily, Pia! 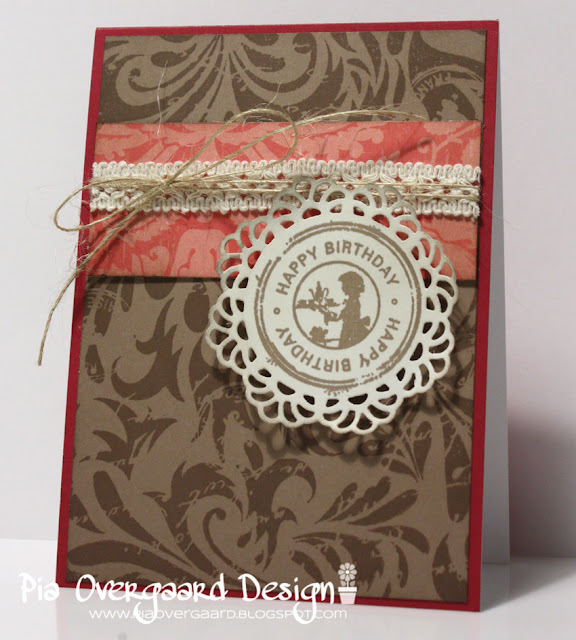 Love your card - can't get enough of that new background stamp, either! Kanonlækkert kort. Smukke farver og sødt lille stempel. Du må have en god dag. simple and sweety! love it!